Pressley & MacFarlane issue open letter to fans. Coventry City manager, Steven Pressley. 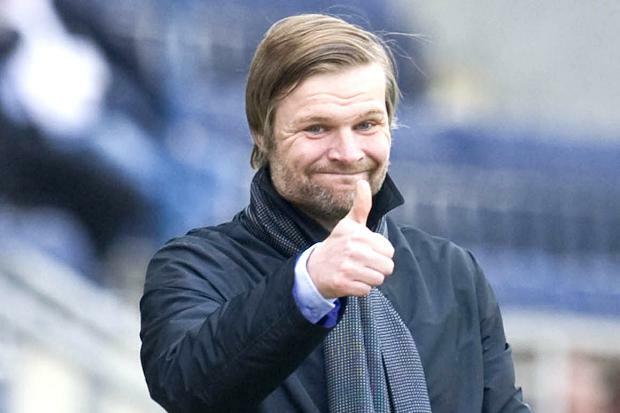 Coventry City manager Steven Pressley and his assistant Neil MacFarlane have written an open letter on the club’s official website to the Sky Blue Army. It’s been a year since we arrived at this wonderful football club and we are writing to offer a personal thank you for your fantastic support since we arrived. We have written, this week, to every Season Ticket holder but wanted to extend the thank you to every other supporter of the football club for their backing and thought this open letter was the best way of achieving that. It’s been a tough 12 months for all of our supporters which has led to difficult decisions being taken and we have been clear all along, we respect everyone’s view with regards to attending our games at Sixfields or not. For many supporters it hasn’t been easy to attend a ground away from the club’s home city but those that have, made that choice not for us and not for the owners, but to support the team. Others have opted to attend our away games only and while we respect that decision we would, clearly, love to see them wherever we play. For the team as a group, this was a season of challenges and unknowns. We have had to contend with the loss of ten points and also playing our home matches outside the city but we feel the team have reacted brilliantly and have been a credit to the supporters and the Coventry City crest. The backing from every single one of our supporters – home and away – has played a massive part in that. Of course, our job for the season is not done in this highly competitive league and we continue to work extremely hard in order to pick up as many points as we possibly can between now and the end of the season. We believe we have gone some way into changing the culture at the club, basing our whole DNA on high intensity and a high work ethic that is replicated throughout training and matches at every level – right from the Academy to the first team. The next step is to create a winning mentality and a belief among not only the players and staff, but in each of our supporters too, that we can achieve something very positive for this football club. « FA respond to Coventry Telegraph; not prepared to intervene on groundshare.